We are very happy to announce that the cows are finally back outside during the day. 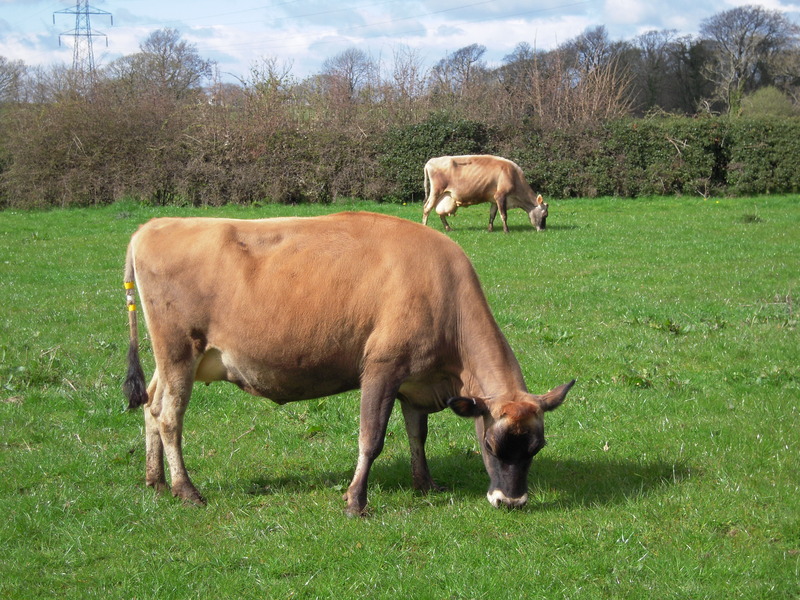 If you get milk from us you might notice a change in creaminess and flavour. This is due to the change in the cows diet from silage/straw day and night to fresh grass during the day and silage/straw at night. As the weather continues to improve the cows will eventually stay outside at night as well and then will be only eating fresh grass. 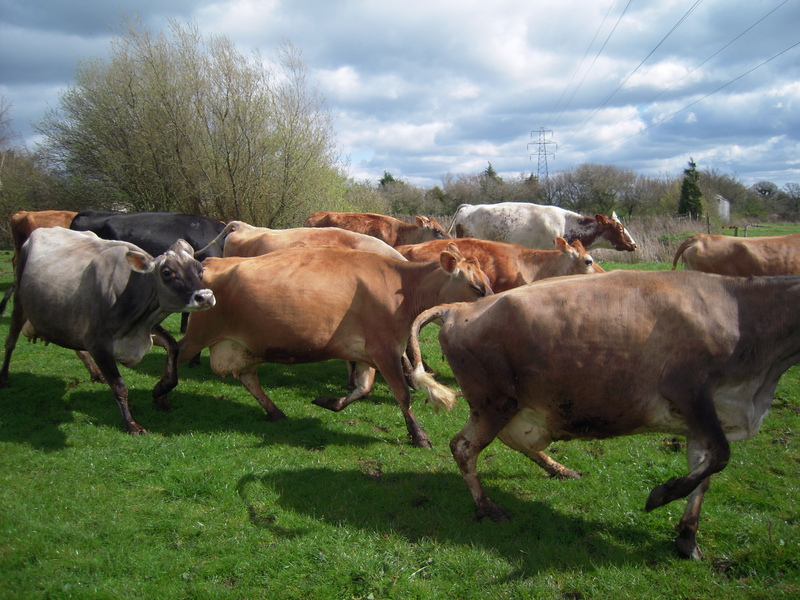 Here are some pictures of the cows going out. 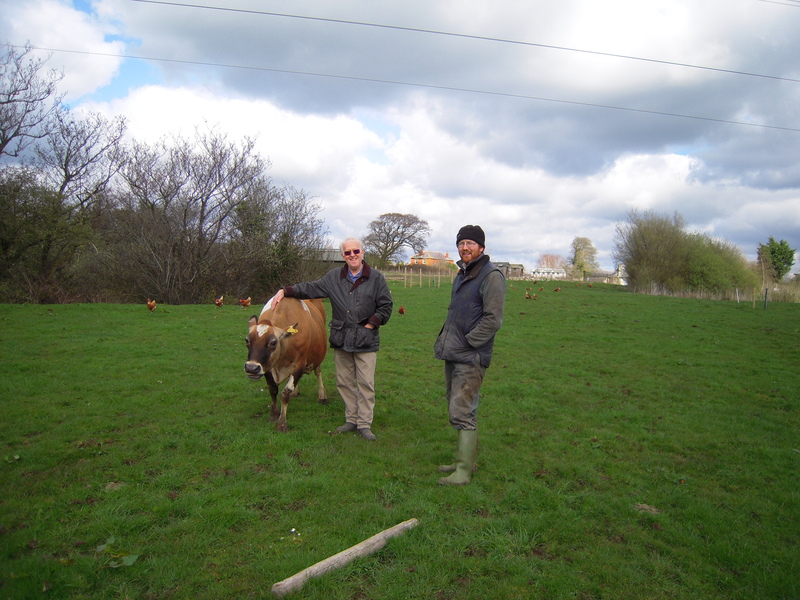 On the larger picture you can see Chris (on the left) one of our delivery drivers and Thomas (on the right) who runs Cliftons Farm.